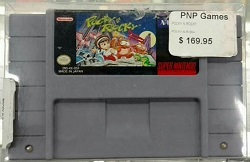 PNP Games Boxing Week Sale Specials! Like saving money on games, systems and accessories? You’re in luck as the Boxing week sale begins tomorrow at PNP Games! Here’s a rundown of all the items on sale at both locations from December 26th through the 31st.